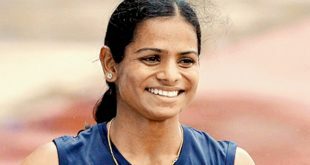 Bhubaneswar: Dutee Chand stays on course for her third medal and Srabani Nanda for her second as the Indian sprinters qualified for the final of the women’s 200m on the final day of this year’s 22nd Asian Athletics Championships in the morning session. The girls, who came together to win the bronze medal in the women’s 4x100m relay last night, made it through their respective semi-finals, with Nanda winning hers while Chand finished second behind Kazakh sprinter Olga Safronova in the third semi-final. Local hope, sprinter Amiya Kumar Mallick scraped through to the final of the men’s 200m race, making it as the last fastest qualifier. Mallick had earlier been disqualified from the men’s 100m while he was part of the Indian sprint relay team that was also disqualified, ending his chances of a medal in his stronger events. Iran’s Hassan Taftian, who shocked favourite Femi Seun Ogunode in the men’s 100m final, failed to qualify in the 200m final. 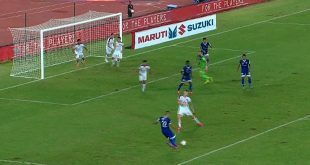 The Kalinga Stadium crowd got behind the Indian men’s 4x400m relay team as they qualified for the final of the event that will be staged in the evening session, keeping themselves in contention for yet another medal. 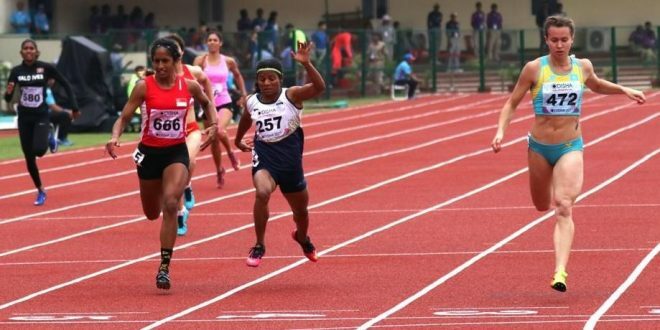 In the women’s heptathlon, with 5066 points, Swapna Barman maintained her slim but firm lead over the rest of the field by producing strong performances in the long jump and javelin throw. Meg Hemphill of Japan (5005 points), however, leapfrogged Purnima Hembram (4922 points) into the second place with just one event to go – the800m race – whichwill decide the medals in the evening session. A slew of medal events will bring curtains to the 22nd Asian Athletics Championships in the evening session, with javelin thrower Neeraj Chopra, sprinters Dutee Chand and Srabani Nanda, and middle distance runner Tintu Luka all vying for medals in their respective events.